In Barcelona, we like to be visited. We like to receive. To organize events. To celebrate events. It’s undeniable. It has happened to us for a long time. I would say that from the Phoenician and Roman times but this is not the time machine and we will not get that far. To explain the history of Barcelona with fairs, exhibitions and congresses, we will only go back to the middle of the 19th century, when the economic strength of the city began to translate into events such as the Barcelona General Exhibition (1844), the Industry Exhibition, Arts and Crafts (1860), the Catalan General Exhibition (1871) or the Catalan Products Exhibition (1877). However until 1888, Barcelona does not live its first important international experience. 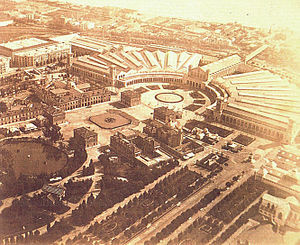 The Universal Exhibition was the event for which 450,000 m2 of the Parque de la Ciudadela became the largest and most modern showcase of the city. For the first time in history we received two and a half million visitors in less than half a year. Barcelona had just entered the economic Olympus of cities like London or Paris. During the happy 20’s, the first Trade Shows took place for the satisfaction of the industrial and arts and crafts sectors. The municipal entities and the government of Catalonia were also deeply involved. But the economic and social feat of 1888 was not repeated until 1929 with the celebration of the International Exhibition of Barcelona. It happened at the Fira de Barcelona (Fair of Barcelona), one of the most unique in the world because of its location within the limits of Montjuïc Park. It was 134,000 m2 that were divided into six truly spectacular pavilions at that time. The world juncture of 1929 was much more complicated than that of 1988 because it was experiencing a serious economic crisis. But the event prospered and meant a profound modernization in the infrastructures of the city with the arrival of the Metropolitan, the urbanization of the Plaza de España and the Montjuïc mountain and the construction of monuments such as the Palau Nacional, the Venetian towers, the Font Màgica or the Poble Espanyol. The Fira as we know it today was officially created in 1932 and since then it is an exponent of the business reality and social trends of the city. An exponent that grows as demonstrated in 2003, when the extension was built in Gran Vía, the work of Japanese architect Toyo Ito. 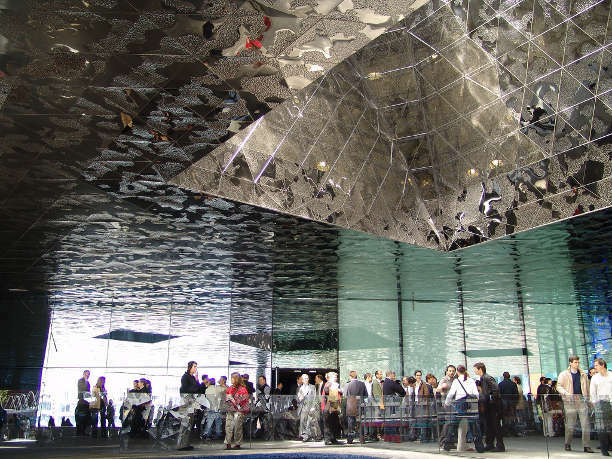 It is one of the largest and most modern trade fair venues in Europe, with 240,000 m2. It has eight pavilions connected by a footbridge, a heliport with two tracks, a large photovoltaic park and the capacity to accommodate up to 12,000 people. Located in the financial heart of the city, Avenida Diagonal, it was a symbol of contemporary architecture when, in 2001, it won the National Architecture Prize. With 39 rooms and a large auditorium and capacity for more than 2,000 people, the Palace hosts national and international congresses, cultural galas and social events. When the Fòrum de las Culturas was held in 2004, a complex facing the sea was built in the maritime area of ​​Poble Nou, where two buildings of great architectural value are linked by an underground corridor: the Convention Center of the Catalan architect Josep Lluís Mateo and the Fòrum Auditorium, designed by the Swiss architects Herzog & DeMeuron, very recognizable by its 25 m high blue triangle. It is part of the Barcelona skyline without being one of the tallest buildings in the city. But its enclave in front of the port gives it a lot of visibility. Apart from its modern equipment, any event held on the 4,000 m2 of its Convention Center will be remembered for the magnificent sea views. It was built on the occasion of the 1992 Olympic Games. 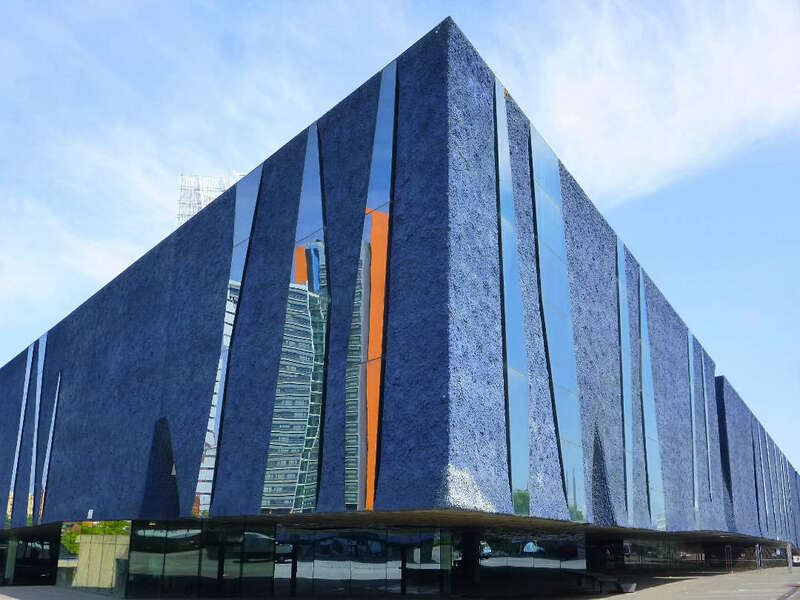 Designed as a multifunctional space, the Palau has a versatility that enables it to host a wide variety of high-level public events, and not only sports. 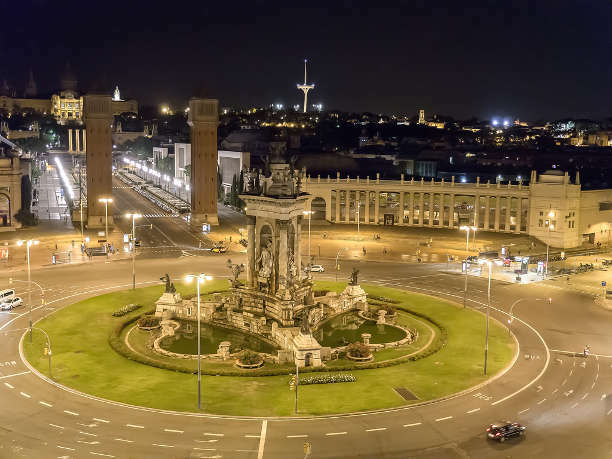 Only in its two venues, Montjuïc and Gran Vía, there are more than 400,000 m2 total of exhibition space, more than 120 salons and congresses are held annually, more than 2.5 million visitors are received from more than 200 countries. 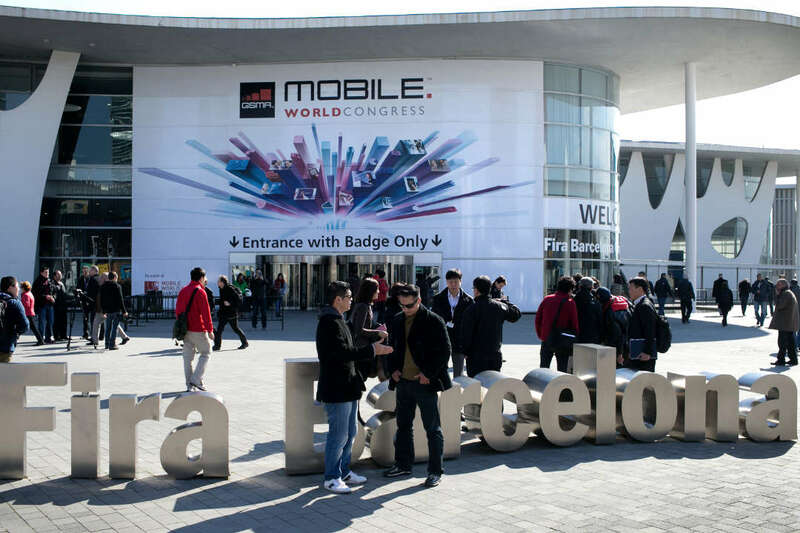 Some of the most important are Mobile World Congress, Food, Congress of Cardiology, Smart City Expo World Congress, Automobile and Hispack. It ranks fourth in the ranking of the International Association of Congresses and Conventions (ICCA), and sixth in the ranking of the Union of International Associations (UIA). But the business models and the way of organizing events and conventions have changed a lot in recent times. The professionals no longer only look for spaces that are large and technologically equipped. They also appreciate that it is a unique, different, original place … that after the conference or meetings attendees can relax with a drink or enjoying a privileged environment. 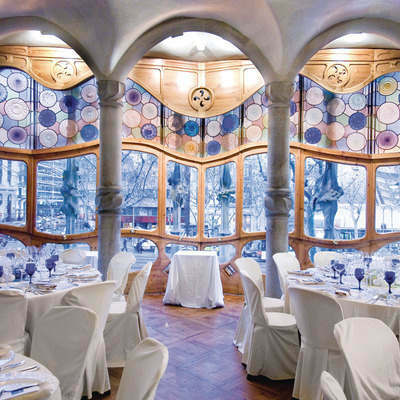 These incomparable venues in Barcelona are many and varied. Let’s see some of the most select that we recommend in Barcelonina. Declared a World Heritage Site by UNESCO, the Modernist Site of Sant Pau, designed by the architect Lluís Domènech i Montaner, is a benchmark for Barcelona’s heritage and culture. It has a set of unique and inimitable rooms to host congresses, corporate events, presentations and all kinds of events. And no less spectacular than the halls are the gardens. Casa Batlló, Gaudí’s masterpiece, is a mythical building. 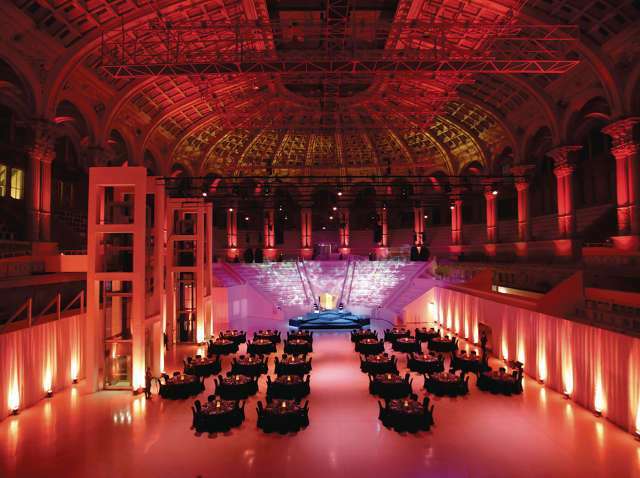 Modernism reference point, offers extraordinary spaces to celebrate exclusive events. More than 3,000 m2 in the middle Passeig de Gràcia. Can you imagine a more noble place than the Gran Teatre del Liceu? This temple of the opera in Barcelona has also enabled its spaces for the organization of personalized official or business events. Now it is possible to rent part of this historic space located in the center of Barcelona to celebrate cultural, business and / or social events. Up to eight rooms to choose. The imposing oval room of the Museu Nacional d’Art de Catalunya-MNAC is a historic and emblematic space that allows you to organize the most versatile acts, in an environment of art and grandeur. Exclusive activities for all types of groups, from groups of 20 people in intimate spaces to large events of more than 2,000 people in the oval room, hall, dome, terrace or rooftops. La Llotja de Mar, located between the Gothic quarter and the seafront, is a civil building that, during its six centuries of existence, has always been dedicated to activities related to trade. The Saló de la Contractació (the Hiring Room) stands out, ideal for the events of the most important signatures, but the Golden Halls, the Lions, the Neptune Halls, the Courtyard and the Stairway of Honor are also magnificent. 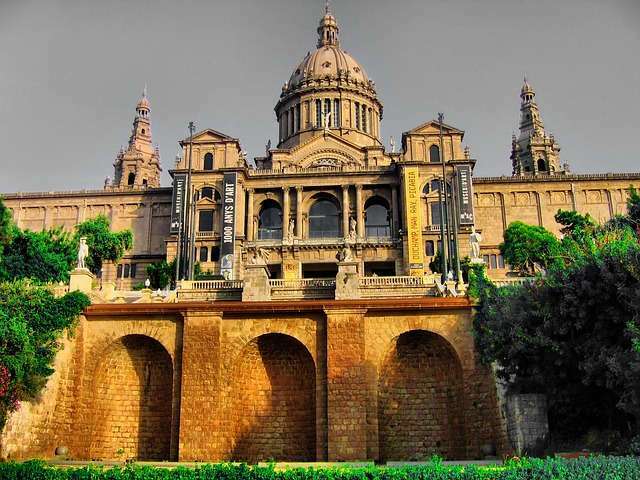 Located in Port Vell, very close to the Llotja, is the Museu d’Història de Catalunya. It is a modern space with an exceptional terrace overlooking the sea and the city. It has a maximum capacity of 500 people, also has an auditorium for 100 people and meeting rooms of between 15 and 80 people. We will end today with La Pedrera that unique modernist building, the work of the Gaudí imagination in the service of the Milà family. 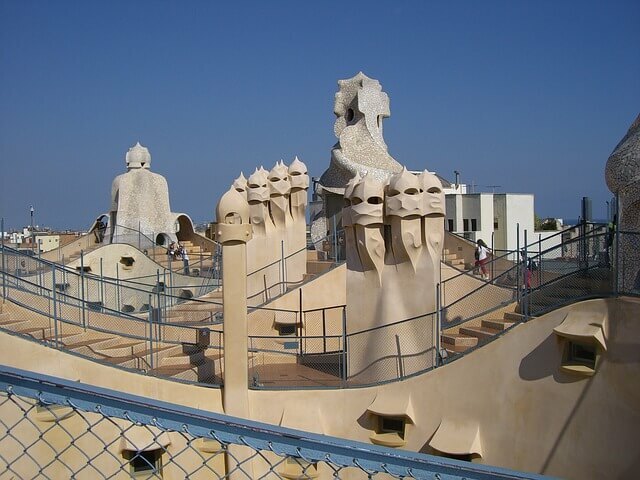 In La Pedrera, except for private apartments, you can access all spaces.. The offer is multiple: Auditori, the Gaudí Room, the Entresòl, Terraces … equipped with everything necessary for conferences, congresses, seminars, meetings, talks, concerts, dance or dinner. Among its varied list of activities, Barcelonina offers to companies, to organizations and to groups access to these and other places in the city (soon we will talk about other options in Barcelona and also in its surroundings). We use our “experience” in years to make any event an “experience” in the combination of leisure and business.